Medicine and Technology: Do You Have Cell Phone Elbow? Do You Have Cell Phone Elbow? CNN has a story about a phenomenon called "cell phone elbow." Instead of focusing on the thumb, fingers, hand, or wrist, this story focuses on the elbow. You may have heard of BlackBerry Thumb and even PDA Nail. But have you heard of cell phone elbow? To the medical community, this may be called: cubital tunnel syndrome (no, not carpal tunnel which is in the wrist/hand area). Cell phone elbow (or cubital tunnel syndrome) occurs when a nerve in the arm gets damaged because you're tightly bending your elbow for long periods of time. As a result, you may get numbness and tingling in your pinkie and ring fingers (which nerve is being pinched? Answer = ulnar nerve). According to Dr. Peter J. Evans, the director of the Hand and Upper Extremity Center at the Cleveland Clinic in Cleveland, Ohio, cell phone elbow "could impede your typing ability, your writing ability." In other words, it could get very serious. Avoid activities that require the elbow to be bent tighter than 90 degrees. Fix workstations so the elbows aren't overly flexed. Don't lean on your elbows for an extended period of time. Hopefully there will be a rehab program for this. According to your post I am doing all of the wrong things. I mainly use speakerphone or a Bluetooth headset. 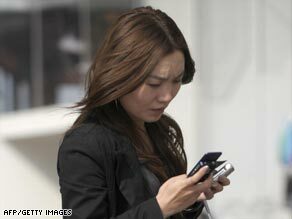 Cell phone elbow is also known as "cellbow" or its official name, cubital tunnel syndrome (CuTS). The problem occurs where the ulnar nerve passes around the elbow. The nerve rests in a groove called the cubital tunnel tucked behind the bony point on the elbow. Repeated stretching or hitting this nerve results in numbness, shocks and pain, similar to what you feel when you hit your "funny bone."